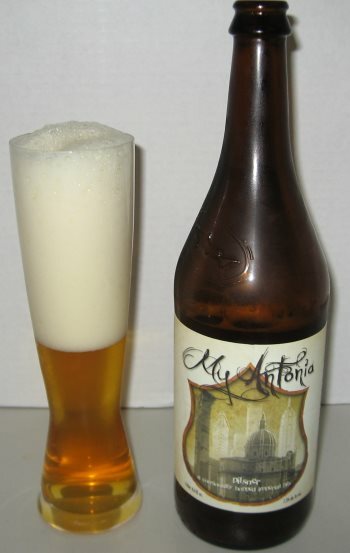 My Antonia was reviewed on this site several years ago, but I’ve never added my thoughts, and it’s about time I did so. Generally, I agree with Scott’s opinion in the earlier post. As a Pilsner (of the Imperial variety in this case) this is a more accessible beer for traditional macro drinkers than most of the rest of what you’ll find in the Dogfish Head line up. That said, as Scott alluded to, this beer does have more character than what you’ll get in the Pilsners served up by AB InBev or MillerCoors. 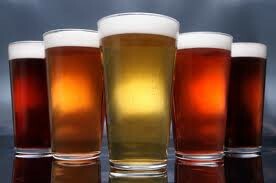 There are more hops, and the lack of mild adjuncts (such as corn or rice) mean that the flavors of the malted barley aren’t tempered. The nose is citrusy and sweet, with orange and honey notes. The middle is hoppy with citrus, but mild, and not particularly bitter. The malt shines in the finish with toasted grain and light brown sugar. This is an excellent example of a what a Pilsner can grow up to be, and a fine intro to craft beer for masses. This entry was posted in Reviews on April 26, 2013 by Xander.